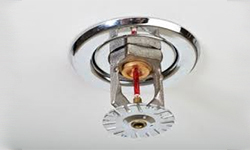 panel for a fire sprinkler system or a complex addressable system incorporating smoke and fan controls, rely on DeLau Fire Services experienced professionals to design, install, inspect and service the life safety system appropriate for your business facility. DeLau Fire Services staff of fire alarm and detection specialists will analyze your facility and integrate the proper alarm and detection elements into your fire protection system for a complete, comprehensive fire and life safety solution. 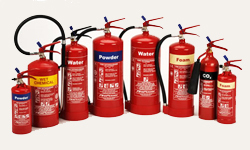 Portable fire extinguishers are generally the first line of defense when a fire breaks out at your workplace. 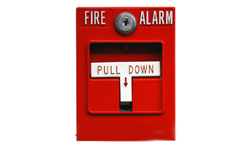 Anytime you detect a fire, or just the first signs of fire, you should alert your local fire department immediately. 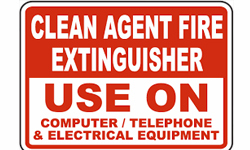 But until help arrives, a full, properly maintained fire extinguisher can help minimize damage to your business and injury to your employees or customers. Commercial kitchens contain all the elements necessary for a fire. Grease and cooking oils provide the fuel. Oxygen is always available and heat can come from a variety of sources, ranging from an open cooking flame to electrical shorts. Fire can occur on cooking surfaces and in hard-to-reach areas like hoods, plenums, vents and ductwork. system that combines both automatic fire depletion and suppression. Certain hazards within office, industrial, commercial and institutional facilities require special attention. 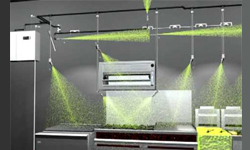 These hazards include computer rooms, clean rooms, telephone switches, art and historical applications and any facility where water damage from sprinklers must be avoided at all costs. A variety of approaches and chemicals are available to provide a custom solution to your special hazard. Typical Applications of Clean Agents, Clean Agents are particularly useful for specific hazards. your emergency lights fail to operate properly, the building occupants can become disoriented. 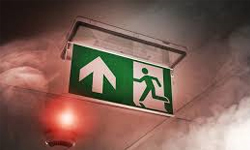 Routine maintenance of emergency lights and emergency lighting is frequently overlooked until and emergency occurs and then its too late. Regular maintenance is required by NFPA Standard No. 101, chapter 31, section 1.3.7.